From National Beer Day to the Craft Brewers Conference in Denver, it’s been a big week for craft beer. This was my first year to attend CBC, and if you are in the industry, this is a must do event. I learned so much and met so many great folks, not to mention all the new beers I sampled. 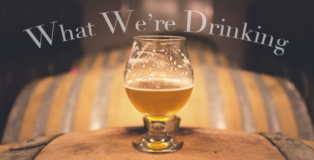 Now that we are all back home, recovering from a beer filled week, here are some ideas for your relaxing weekend in this week’s What We’re Drinking. 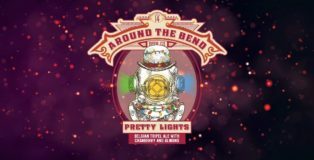 Just when you think you know what to expect from a Christmas Ale, Around the Bend Beer Company comes along and provides a unique holiday surprise — the Pretty Lights Belgian Tripel with Cranberry and Almond. Although this beer is exceedingly capable of standing on its own, it would be tough to find a beer more suited for pairing with a holiday feast. With the new season approaching, it invites change. Change in weather, leaves falling, families coming together from far away and, for me at least, ending a job at a company I’ve been at forever! We here at PorchDrinking will be searching for clever ways to share tasty brews with this wet weather, I’m thinking hammocks! Cozy up with a blanket, start a nice fire and dive into What We’re Drinking. Once upon a time, there was an intrepid fellowship of PorchDrinkers. They had to destroy a ring in a volcano (or something like that), but they could only truly break the ring’s evil curse if they drank every craft beer in America. What follows is an account of the battles they have fought and won during the past week. Fear not, dear readers, our heroes WILL complete their quest to free the world from its horrifying sobriety. This is What We’re Drinking. 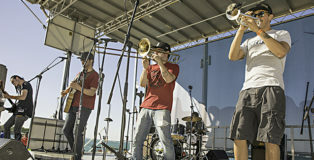 Few places embrace local breweries like Brass Tap in Orland Park, Illinois (Chicago). But, this is no time to celebrate community — community, smoonity! 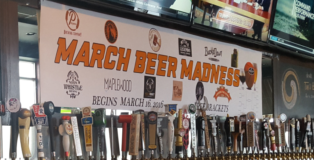 This is March Beer Madness and it’s all about competition! 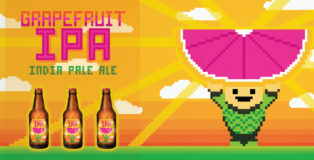 One dozen breweries enter the tournament, but only one leaves a winner (and the lucky fans who picked it correctly). 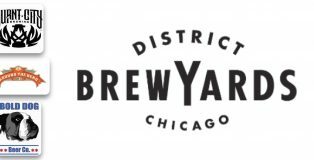 It starts with Chicago’s Maplewood Brewery vs. suburban Darien’s Miskatonic on day one, March 16th. It’s free to fill out a bracket… so, who ya got?